The country’s most incredible artisanal ice cream makers are showcasing the best of the season with innovative flavors and treats, from fruit cobbler by the pint (with real pie crust) to peach–chile ice pops. Based in Portland, Oregon, Salt & Straw prides itself on local, wholesome ingredients and unusual (sometimes savory) ice creams like a delicious melon-and-prosciutto combination. The seasonal gift pack currently includes a Goat Cheese Marionberry Habanero ice cream and a Summer Cucumber and Raspberry sorbet. Available at saltandstraw.com and select retail locations; $65 for 5 pints. If Superman were a modern-day hipster in Brooklyn, Ample Hills ice cream would be his kryptonite. Made in a state-of-the-art two-story creamery and scoop shop in Gowanus, the impeccably fresh ice cream comes in flavors like Salted Crack Caramel and features generous mix-ins like peppermint patties, Oreos and peanut butter cups that are all made on-site. The company starts selling pints nationally next month. 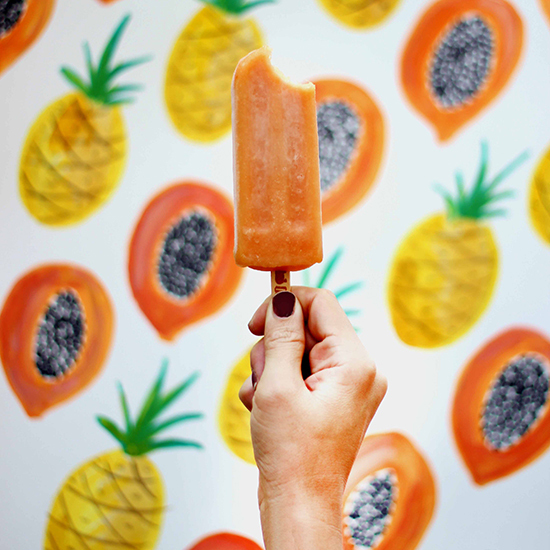 The Hyppo makes traditional Mexican-style paletas with local produce (and in Florida, that’s a lot). With more than 450 flavors available, be sure to order the summer mix collection. We couldn’t get enough of the milky Avocado Coconut and the Blueberry Lavender Lemonade. Available at thehyppo.com; $40 for 12 pops. From a family-run company out of Santa Barbara, McConnell’s ice creams are classic and silky smooth. The seasonal Summer Fruit Cobbler has California peach–infused sweet cream, homemade raspberry preserves and bits of pie crust. Available at mcconnells.com and select locations; $10 per pint. A grown-up version of the childhood favorite: These throwback ice cream sandwiches are made with organic Madagascar vanilla ice cream and black cocoa wafer cookies. Available at threetwinsicecream.com and Whole Foods Markets; $2 for 1, or $6 for 6. One of our go-to 3 p.m. snacks in the F&W Test Kitchen, Talenti’s gelatos are always rich and creamy. Check out their new summer flavors: Caramel Apple Pie, Fudge Brownie and Raspberries and Cream. Find retail locations at talentigelato.com; $4.99-5.99 per pint. King of Pops is run by three brothers out of Atlanta. Their insanely addictive paletas come in flavors like Banana Puddin’ (with actual pieces of Nilla Wafers inside), Cereal Milk and Herbs de Provence Lemonade. All ingredients are sourced from local Georgia farmers, including the fresh peaches used in a summer favorite, Peach Chile. Available at atlanta.kingofpops.net; $30 for 12 pops. High Road Just released this summer from High Road, these new flavors combine two summer essentials: beer and ice cream. Lemon Hop sorbet is bright, spritzy and super refreshing. Available at highroadcraft.com and select retail locations; $9 per pint, or $139 for 6 pints (overnight shipping included).